This set of 3 nested tables are just fantastic. Natural wood patterned top with black metal legs. 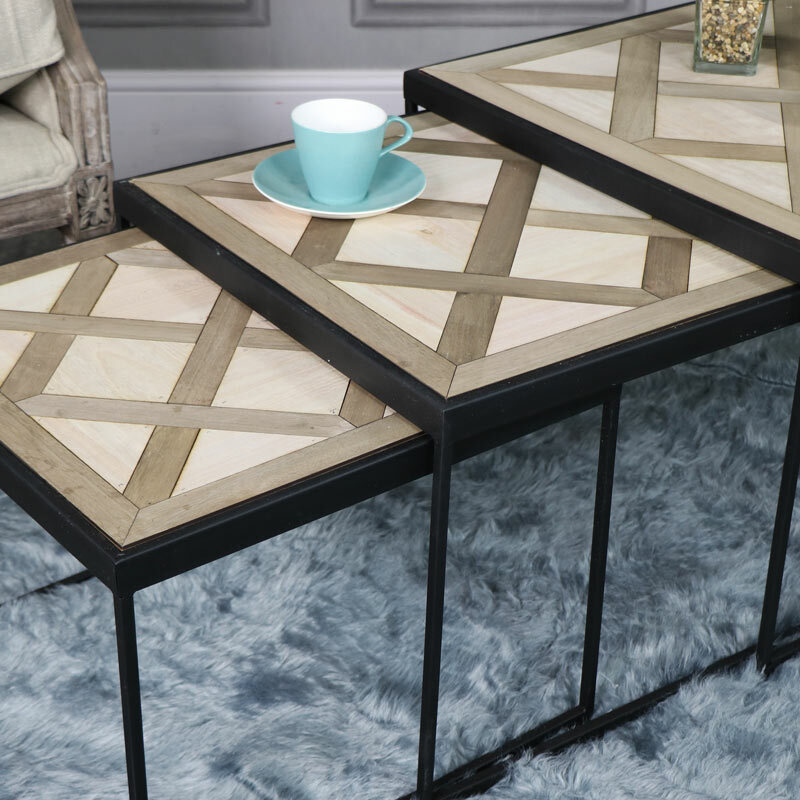 These nested tables are a stylish addition to the living room and add a funky, retro edge. Beautifully designed with geometric style design decorating the top of each table, making these stylish and functional. Three different sizes with the 2 smaller tables nestling comfortably inside the larger table when not in use. Use as a set or individually as side, occasional or plant tables. 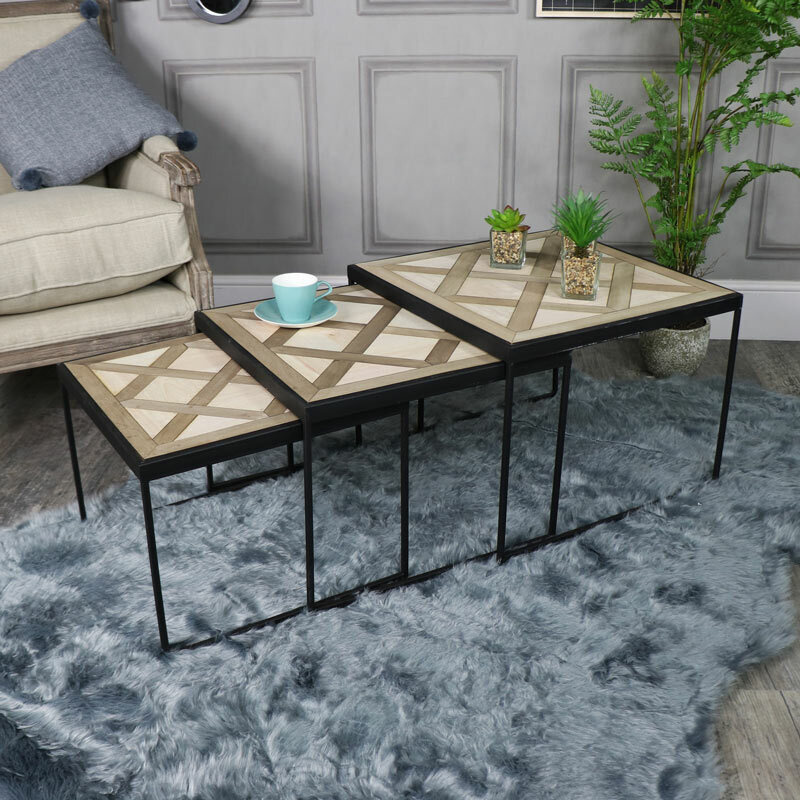 These tables offer a very veratile look that will easily suit a modern, traditional or rustic style interior. Constructed with metal base, painted black and wooden top inlaid into the metal frame. The tables come fully assembled and weigh approximately 10kg. Finding the right furniture for your home has never been easier. We have an extensive range of tables in a variety of styles, colours and designs to suit every home. From the rustic, country and vintage, to the modern, retro and Scandi style.